Oh so wonderful…back in the good ol’ U.S. of A.! Guatemala and my “Vacation From (in) Hell” was now just a memory. OK…A FULL-BLOWN NIGHTMARE!!! It was now June, and already fully summerti me. And though I was ecstatic to be back, there still hung that heavy mountain over my head. And that mountain was the law; God’s Law had already judged me guilty! So all that awaited me was for my sentence to be carried out. The mountain was about to drop on my head! And the executioner was ready, willing and very eager to get to it! As I said, I wanted to get to a place where I would be away from the public, i.e., the mental ward. The Devil was threatening that he was going to have me do those crazy and embarrassing things in public, prior to my soon-coming demise. If you remember from two chapters back (Ch. 21: “RX-7″), the Devil was going to snip off my middle-finger, take out my right eye, and other equally horrible things. And so, I wanted to be somewhere so I would be out of public view, so I could die without creating a big scene and an embarrassment! It had been several days since I saw Becky. I actually hadn’t seen her since we got back. And needless to say, I didn’t hold out much hope of ever seeing her again. And as you can well imagine, I was sad. But I still had to do what I had to do: get myself into a safe place before the Devil did what he was planning to do to me! But as I was coming home from the restaurant or somewhere, I drove up to my little home in the woods (actually a woodsy subdivision). 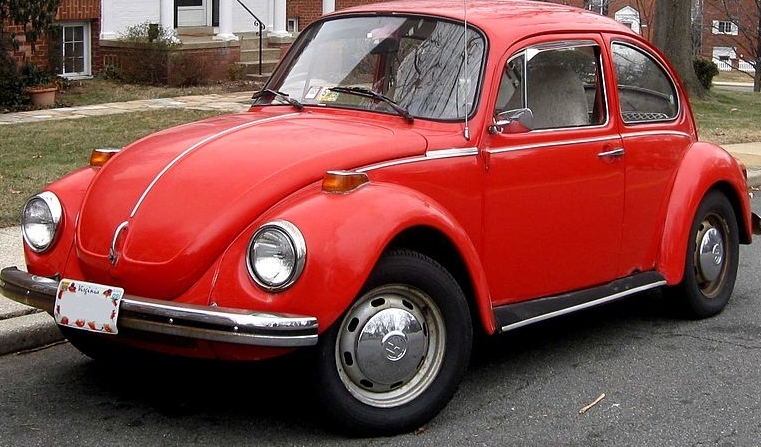 I was shocked to see Becky’s little orange VW Bug parked in front of my house. She was back! WOW! Was I ever happy to see that she was back!! After telling her I was going to commit myself back in Unit 3600, she immediately went to work to find another hospital. Soon she had one lined up. 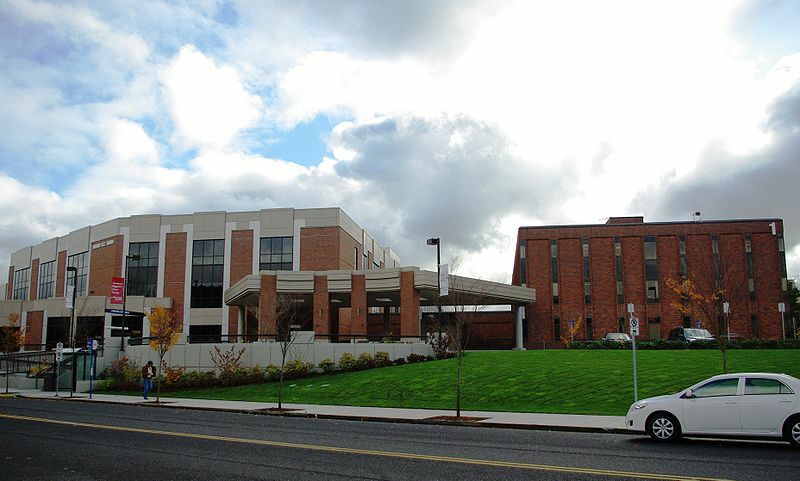 It was a brand new Christian hospital up in Portland. I instantly liked the idea of going to a Christian hospital. I figured they would be understanding of the existence of Satan. And more than this, they could offer spiritual help because of their belief in God. Photo: VW bug Wikipedia Public domain. me birds were singing on this sunny June morning. But to me, their songs sounded discordant. The Devil was still stealing what little hope was left for my life! For my future! And now, even the joyful little songs of the morning robins sounded sour in my ears! Their otherwise melodious singing was now like somebody scratching their fingers across a chalkboard! This brought back an old memory of a song our soon-to-be music combo sang years earlier, when we were teens. It was a currently popular song by Peter & Gordon called “In a World Without Love”. And one of the lines of that song went, “Birds sing out of tune, and rain clouds hide the Moon, etc….”. But on this particular sunny June morning, I finally understood those words. They definitely were coming back around in a very hard-hitting manner. They hit me over the head like a baseball bat! Their out-of-tune song can only be heard by those who have no more hope! Finally we arrived at my place of departure from this world. This brand new hospital was very impressive. The staff was very nice and pleasant. They first gave me a room with a TV. But I just turned it on and stayed there in my room watching it. And I must say, it really took my mind off my troubles! But before long they moved me into a room without a TV. At least I had a nice room to myself. When I first was left alone in my room, I decided to get down before my bed to pray. And I prayed. And I prayed. And then I kept on praying. I kept this up for about twenty hours, well into the next day. Obviously, I prayed for mercy. Finally, then next day, a young guy came in and sat down. I was still kneeling before my bed in a prayer position. He was in his twenties. He had an Abraham Lincoln-style beard. He just sat there, watching me pray. After a short time, he began asking me questions. He then in a somewhat round-about manner, convinced me I had prayed enough for now. And I figured he was right. So I got up and sat in a chair, and listened to him. He introduced himself as a mental-health counselor. And so we talked about spiritual matters. He actually was quite good, as far as relating to me according to the Bible. And of course, I desperately wanted to know what the Bible had to say, concerning my circumstances. On the second day, I went out into the living area. It was nice, but much smaller than the mental ward in Klamath Falls. One of the nurses gave me a guided tour of the unit. She pointed out that the mental ward was divided into two sections. There was a high security section for difficult patients. And then there was the section I was in. She told me I could go outside if I wanted. “I can go outside? !” I exclaimed. “Oh yes, the patients on this side can go outside as long as they get permission.” Of course this made me very nervous, since the reason I came here was to get myself into a high security atmosphere where I could wait for the Devil to “finish me off”. Photo: hospital, courtesy M. O. Stevens, Wikipedia share-alike license, click here. One of the first things I did, was to take a very long questionnaire. It had about one or two hundred questions. I was doing OK until it asked such questions as, “Do you think anyone is following you?” Of course I had to answer “Yes”. And another question, “Do you think someone is out to get you?”. So again, the only clear answer had to be “Yes” again. Then they showed me some ink-blots. I think I probably saw them fairly normal. After all, when an ink-blot looks like a butterfly, it looks like a butterfly! He answered by saying, “Those things don’t happen anymore…except for idle rumors you might hear from time to time coming from poorer countries.” I was really disappointed in his answer. But he continued, “Now you might be HARASSED by Satan.” I thought about this. Now that’s a possibility! Harassed! Hmmm. I returned to the ward. There was a patient, a sweet looking little old lady. I was introduced to her. Her name was Lucy. She had a nice little sweater I think, and her grey hair up in a little bun. Lucy just sat in a wooden rocker, rocking back and forth. Her thick glasses magnified her eyes, making them look, maybe twice as big. The only thing missing was a ball of yarn and some knitting needles. Anyway, the nurse hurried out of the room. It was now just me and Lucy. As I possibly just kind-of looked around, trying not to make eye contact, I saw that she stopped rocking her rocker. She just fixed her big eyes on me, leaning forward a little, looking at me through those thick lenses. And so I looked back at her. She just stared at me. Was she going to say something? Was she going to do something? And as I watched out of the corner of my eye, I noticed a puddle of urine growing on the floor under her rocker. “This lady seems like a senior citizen version of Linda Blair (the possessed girl in the movie, “The Exorcist”).” Lucy just kept giving me her icy stare. The only thing missing was the green vomit! Well, this was poor Lucy’s standard behavior. And the staff was very patient with her. 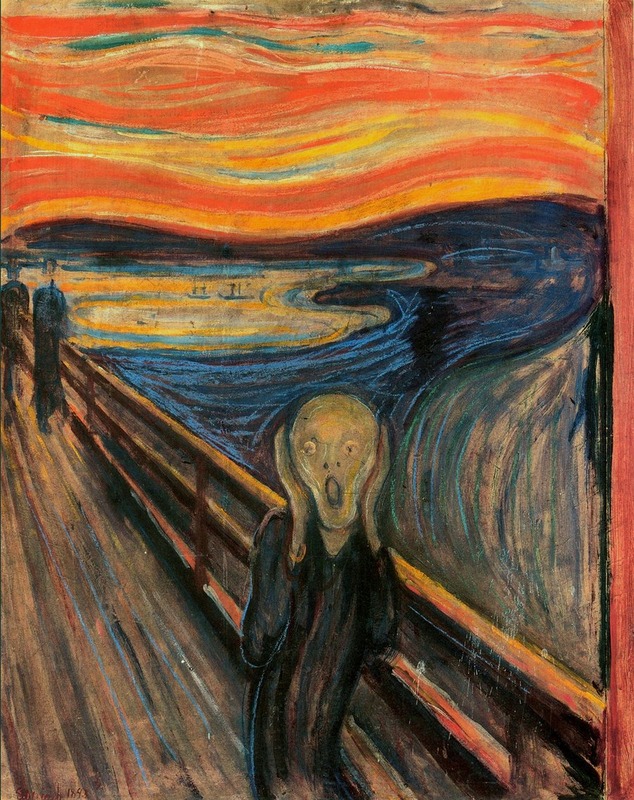 And because of these kinds of things, I began to suspect that Satan was taking advantage of this science of psychiatry as a cover, in order to carry out his evil on us, without being detected. And never again after all my experiences, would I scoff at those movies about Satan, like “The Exorcist”. These first days were really bitter! All I wanted to do is to sleep. Anything to forget my woes! But I dreaded to wake up! Reality was too hard to handle! I was still under the condemnation that I was Hitler in the last life. And I was just waiting for my life to end in some horrible way! “When I lie down, I say, When shall I arise, and the night be gone? I remember dozing off, while sitting in a chair. After a short time, I woke up, only to realize that I was still in serious trouble with God Almighty. I just wanted to go back to sleep…forever…anything to escape this horrific doom hanging over my head! The next day, my sister, who lived in Portland, came to visit me. It was a nice day as I remember. Just the kind of day a person might go for a walk. Take in the view! So we went outside. Just a side-note of interest. A long time ago, when I was about 10 or 12 years old, my family went camping at Spirit Lake, which was at the foot of Mt. St. Helens. I thought it was one of the most beautiful lakes I’d ever seen. The big dark green fir trees that were thick around that lake. I remember walking along side the beautiful lake and the really cool little rustic log cabins for the campers to stay in. And Mt. St. Helens towering above as a majestic overseer of this beautiful blue lake. So the Mt. 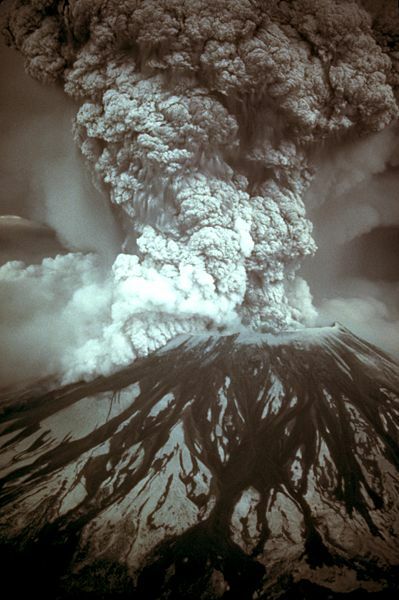 St. Helens explosion became the theme for me in the Portland hospital. Photo courtesy Wikipedia. Public Domain photo. This chapter discusses how “The Devil made me do it” is a lot more true than most of us would care to admit.